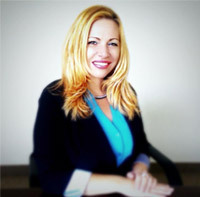 Tina Montoro has developed strong relationships with our physicians and pharmacies. She works directly with each patient to ensure that they receive the wellness regimen and patient care specified by the physician. Our Wellness Director has the integral role of working with our physicians and pharmacies to ensure an excellent experience for our patients. Tina Montoro has extensive experience in the health and wellness field and has a passion for seeing the benefits patients achieve from our therapies. She worked in a retail pharmacy setting for more than ten years, but realized that she wanted to be an advocate for patient care. This desire led her to work with physicians that concentrate on treating the root-cause of patient’s problems. She has worked alongside AAI’s Medical Director for four years, helping patients benefit from his knowledge of integrative medicine and compound therapy. Tina feels extremely lucky to work beside two exemplary physicians who are both specialized in anti-aging and functional medicine. The number of patients AAI Clinics help daily creates a very rewarding working atmosphere. Here, at AAI, we treat you like we would our family. You can schedule an appointment with Tina to visit the clinic today!